A lightweight silk scarf is a spring essential; choosing a floral stunner with a dark base gives the look a transitional twist. 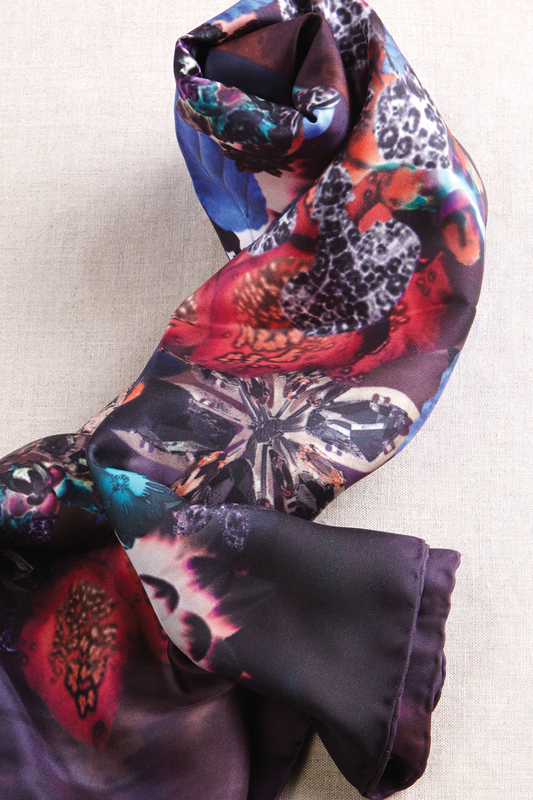 The Jane Carr Nocturne scarf, $295, is a riot of color that stays grounded in deeper cobalt hues. Use it to spice up a black blazer for day or night. 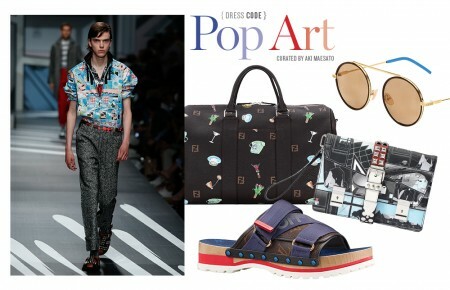 Strut out in style on your next sojourn to some place exotic. 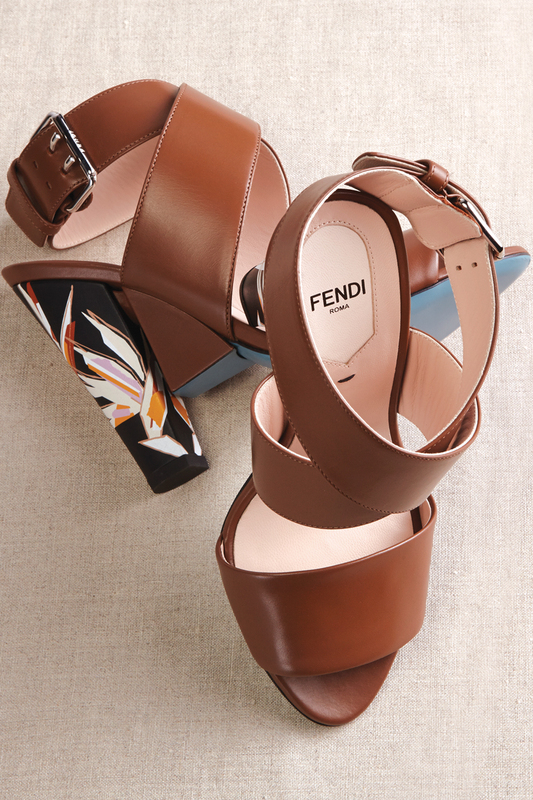 The Fendi Paradise Flower sandal, $900 at Neiman Marcus, is sleek and subtle in the front, but a floral party in the back. Keep the spotlight on bold tones with accessories that complement in shape rather than color, like these sunglasses from Balenciaga, $449. 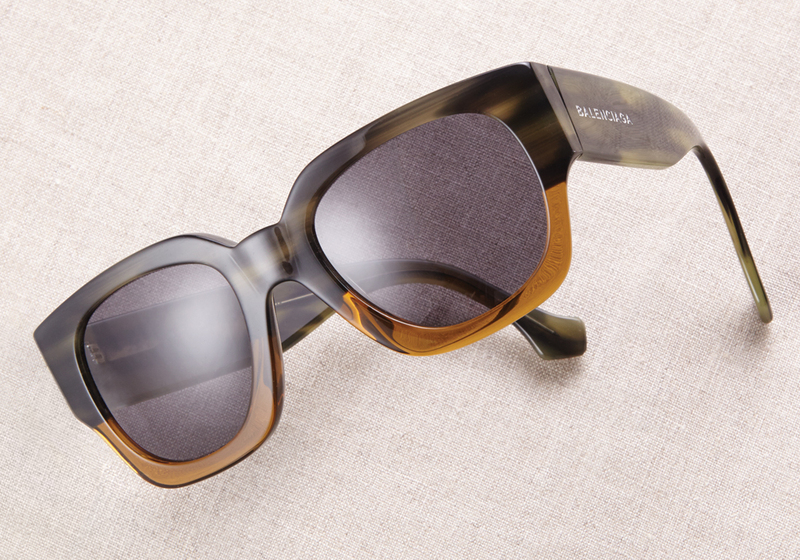 The chunky frame is updated with a two-tone contrast for a modern touch. Available at Precision Eye Care in Huntington (631) 462-2020. 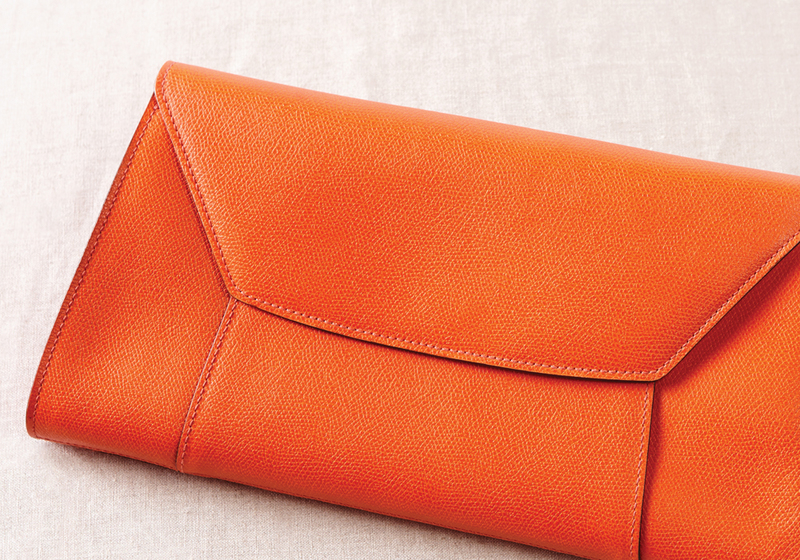 The Handy Clutch by Valextra, $1150 at Barneys, comes in a variety of shades, but orange is our pick for spring because it works especially well with the tans and brights trending this time of year. A straw hat is the secret for keeping a cool head in even the hottest of climes. 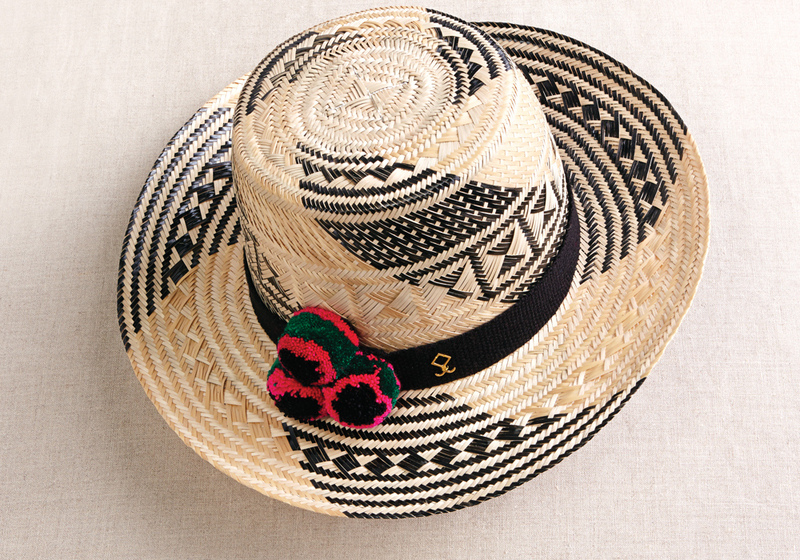 The Tayrona hat by Yosuzi, $395, manages this feat with South American flare. Handcrafted in Venezuela, this chapeau is woven with Iraka palm straw in a pattern that signifies the spiritual wisdom of Yosuzi’s ancestors. A portion of the proceeds benefit CEPIN, a non-profit dedicated to helping Guajiro children.